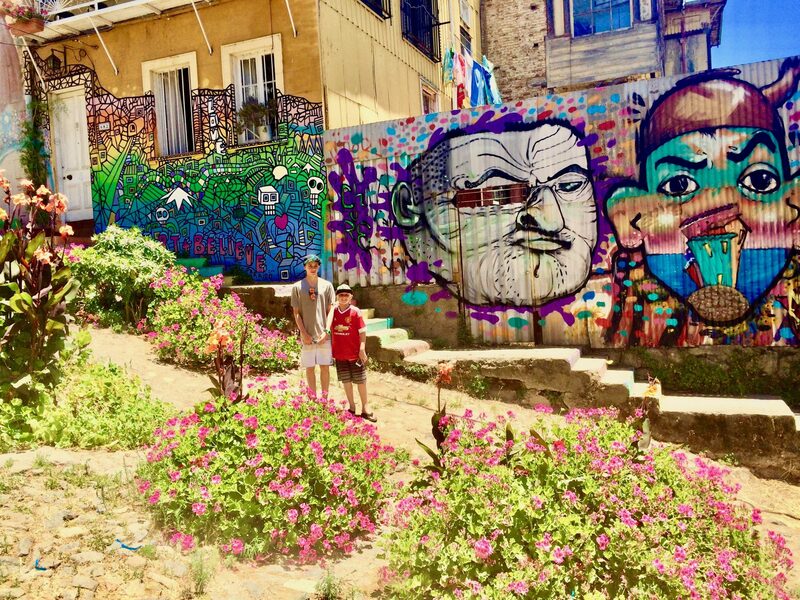 Valparaiso Chile (or Valpo as the locals call it) is about a ninety minute drive from Santiago, and is the second largest city in Chile. 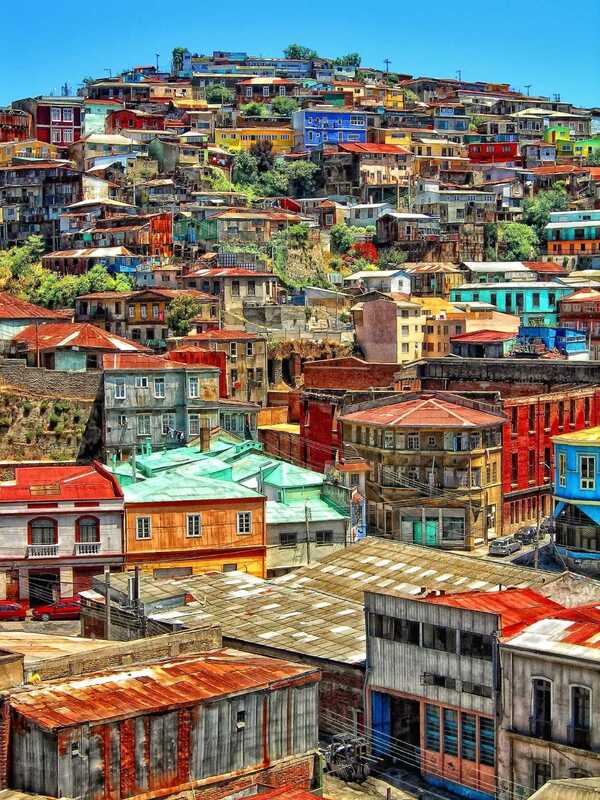 Valpo is a historical city nestled in the hills overlooking Chiles first major port. 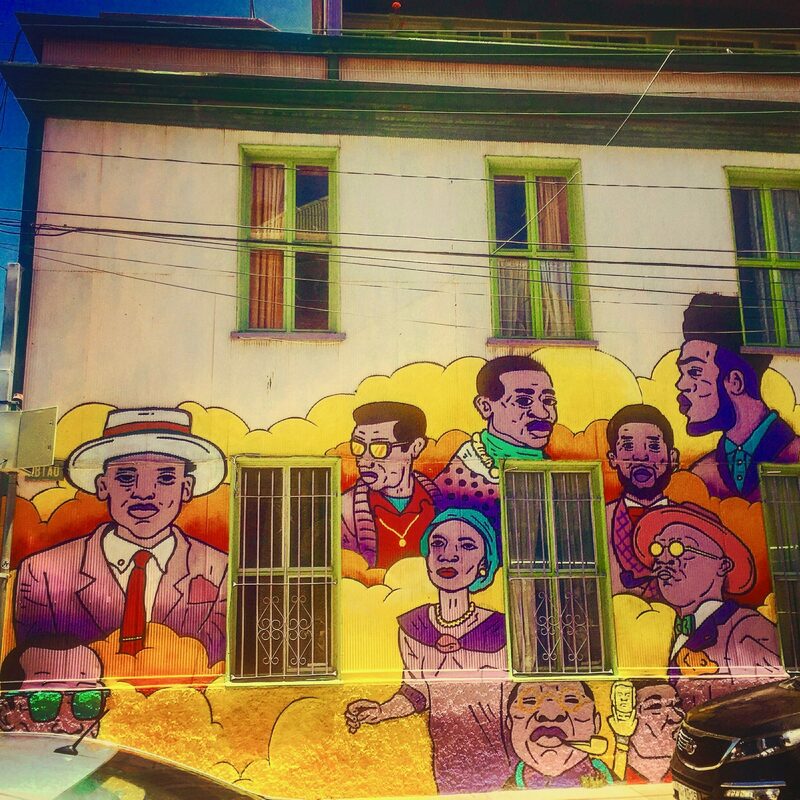 Street art is used here as a form of expression, both politically and socially, and wherever you turn in Valparaiso you see street art. On the walls, doors, buildings, bus stops and even on the buses. 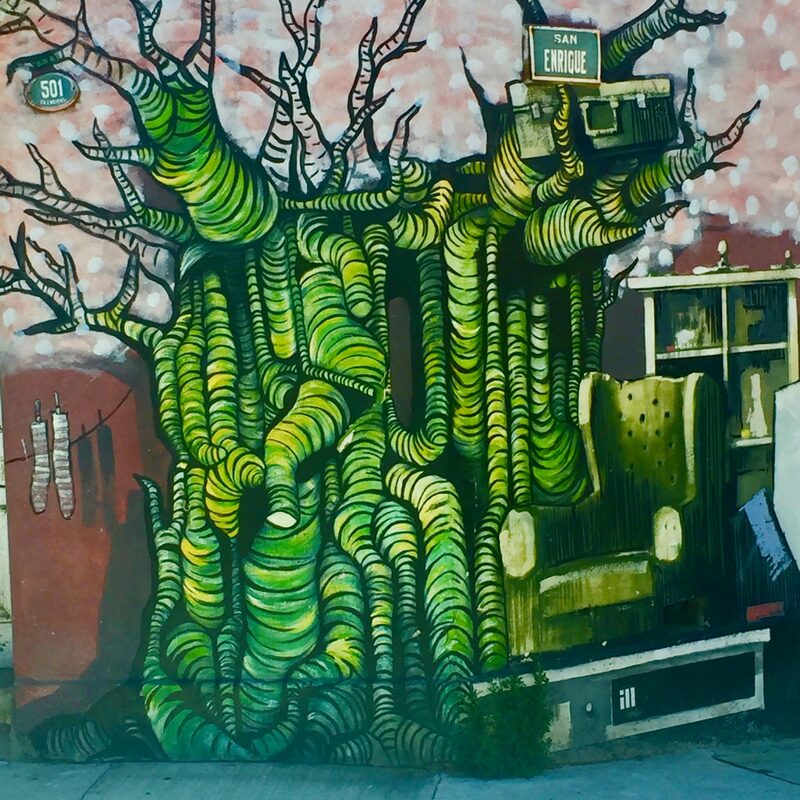 Street art is legal in Valpo. 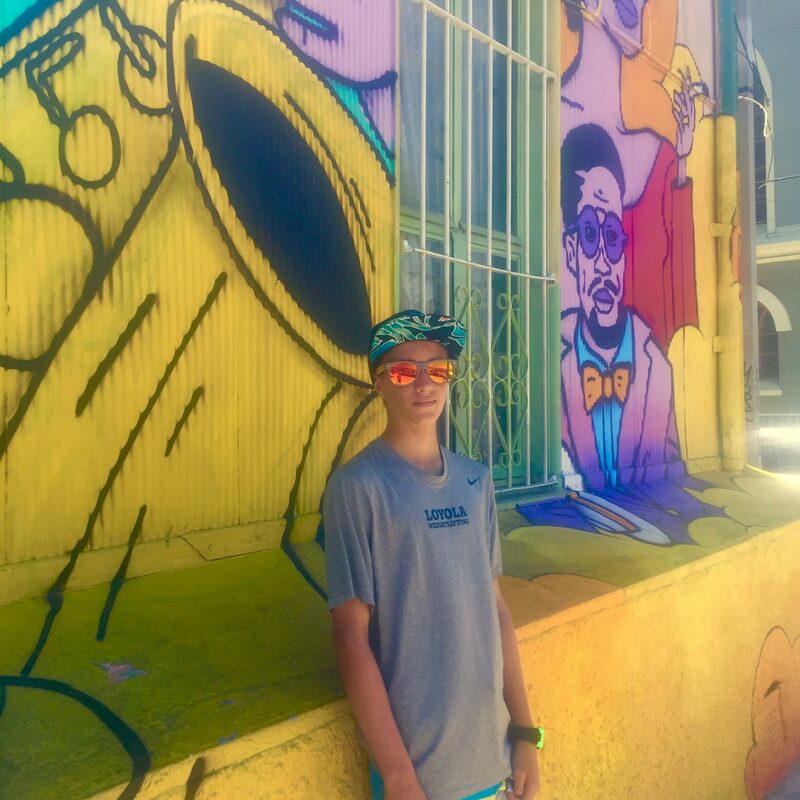 In fact, it is actually encouraged by city officials as they provide paint free of charge to anyone who wants to express themselves on the walls in the city. The only caveat is that artists must be granted permission from whomever owns the building before painting all over it. 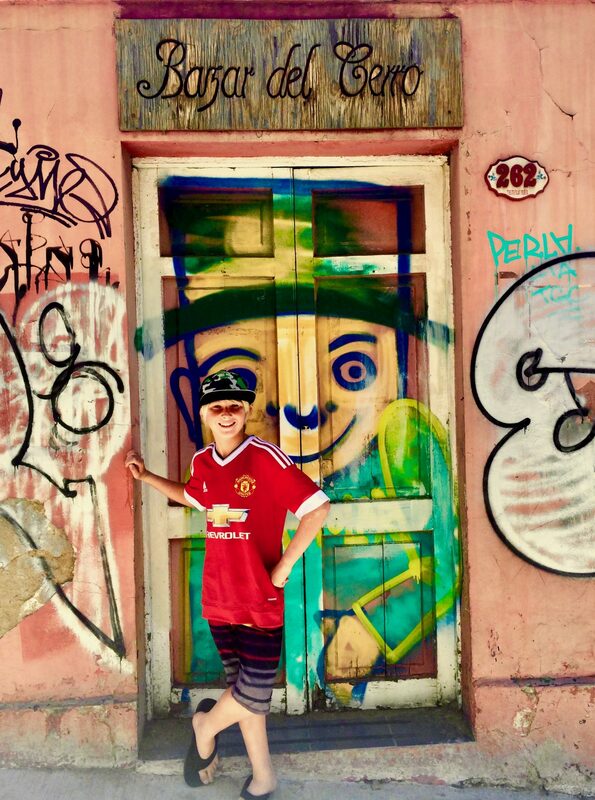 This is in contrast to Bristol, where Banksy was born. Banksy has had some of his famous pieces of artwork painted over by the city since they consider it vandalism. 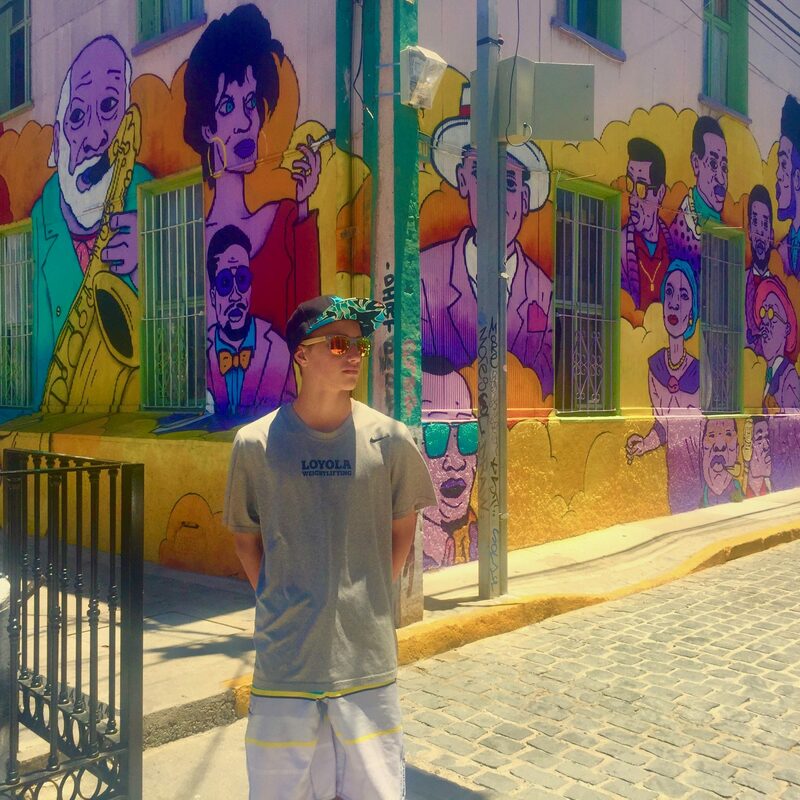 I personally LOVE street art, and as we explored each winding street, we were presented with a cooler, more vibrant piece of street art. The hip and artsy boho vibe of the city simply draws you in, and we explored every single boutique and every single street. 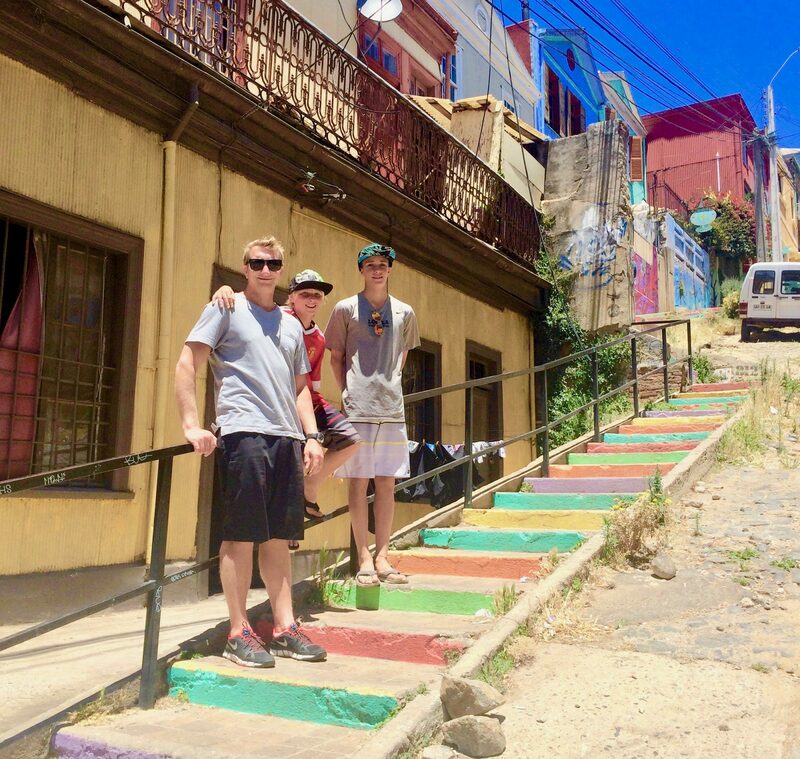 Since Valpo is built in the hills, there are endless bars, bistros and cafes, clinging precariously to the cliffs edge. We all loved how bright and happy the city felt. 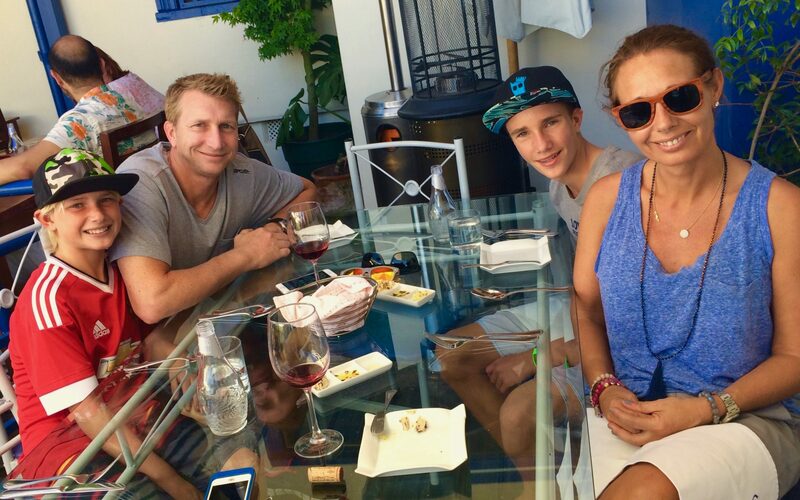 Granted we were there in the summer, but as we ate fresh seafood overlooking the water, we were all extremely happy. 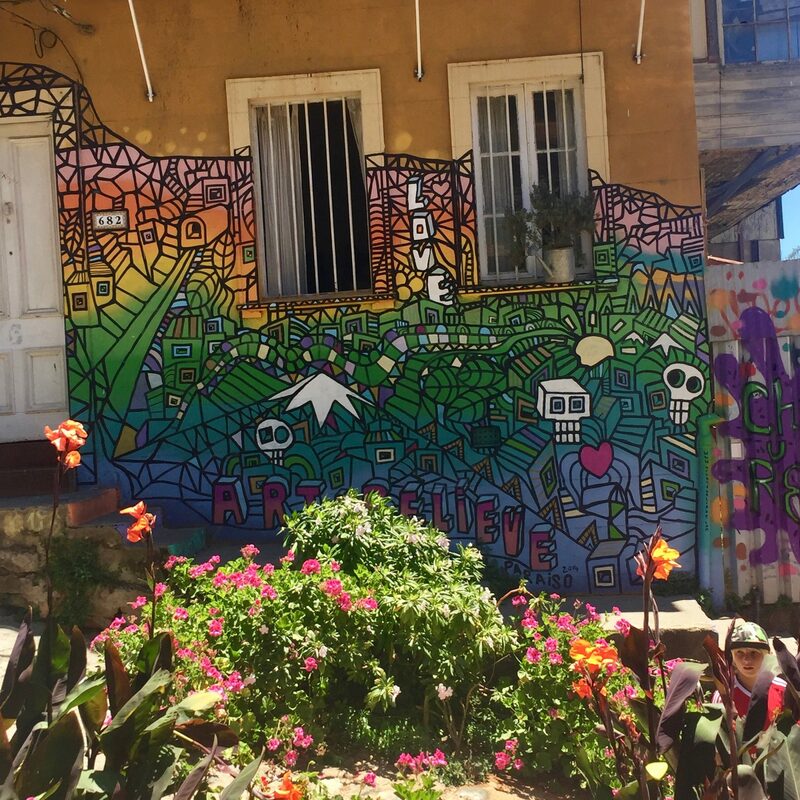 Have you ever checked out the street art in Valparaiso Chile? 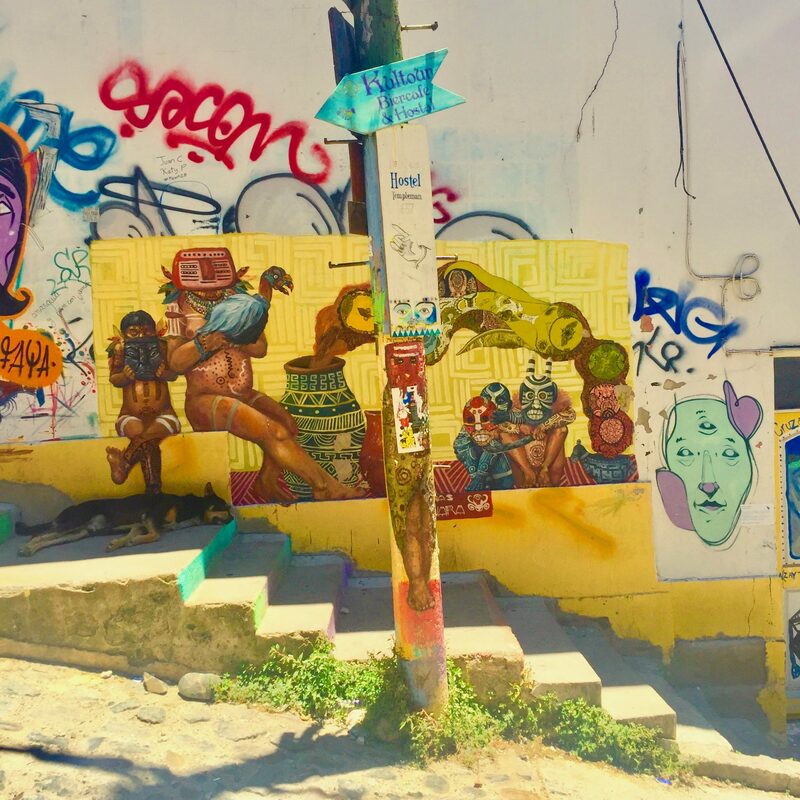 Which city has your favorite street art?